A harrowing tale of a man and his hospital bills… there’s some psychic stuff near the end, but it’s like 80% health concerns. I felt this book had a real pacing problem. Approximately the first half was entirely Johnny out of the coma, then in the coma, then out of the coma again in physiotherapy. To borrow a phrase, “when’re they going to get to the fireworks factory! ?” The book promises a guy with psychic abilities out there trying to do good, but most of the story is him coping with aliments. I did appreciate that this helps you really get onboard with Johnny, but his most tender moments are the regrets over Sarah. Sarah isn’t a particularly well-drawn character in that she is almost entirely defined by her relationships to men. But their little moments together are the real core of this book, even right down to his posthumous letter to her. You feel they had a connection between them and the longing regret of Johnny who, even though he has this great gift, can’t regain what he lost. Having read a lot of King books that have made reference to the character Frank Dodd, The Castle Rock strangler, I’d assumed that this was a huge part of this book. But when it came down to it, we got a few flashes of Dodd killing but ultimately when we get to this portion it’s only a few pages of the book. It could be compared to any number of King crazy side plots, but instead it’s the this focal point that a lot of the other books look at it. Oddly, the look of Frank Dodd in his rain poncho and the powers of John Smith seem to be a major influence on the movie Unbreakable. It was the one enduring image when they described the look of Dodd. Steve and religion are at play yet again in this one. This time the religious zelot is Johnny’s mother, who becomes more out there in her insistence that John has an otherworldly gift. Seeing her fall headlong into this mania as a way of coping with her son’s coma is both upsetting and irritating, as you can see her clutching at straws and putting her husband Herb through hell the whole time. The book also features a political outside with only bad intentions for the people who would ultimately lead to all out war and death. Stillson is a man who built himself on a slogan and being “of the people” while really being a complete psychopath as we see various portions of his life throughout the book. From the moment he blinds that dog, whatever end he could’ve met was too good for him. King’s politics come into play here and he shows the worst example of the showboating, faux man of the people with a catchy slogan and a trademark hat… oh, fiction…. 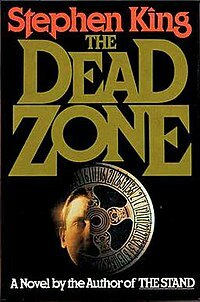 Carrie – At one point a character accuses Johnny of “burning that place down with his mind like in that book Carrie”… so is Stephen King exists in the world of The Dead Zone. The Shining – Johnny helps Chuck’s reading to the degree where he is accepted to Stovington Prep… hope he avoids the English department. Hear they have a guy with a real axe to grind. Before we begin, Walken in the movie references Sleepy Hollow, which he would later appear in as the headless horseman. Weird. The movie starts much more abruptly. John Smith is already a school teacher on his date with Sarah, although from the looks of things, the amusement park is so deserted I think the owner might be on the verge of pulling some Scooby Doo shenanigans to recoup his losses. Seriously, it’s like they’re the only two people in the whole place. They’ve either broken in and forced the workers to rollercoaster or there was a recent murder/death there that neither of them is aware of. The film captures Johnny’s vision is a really unsettling way, by putting him in to the visions. Like when we see him have a vision of a burning house from his hospital bed and we then see him in a burning child’s bed. His flashback to WW2 Poland is particularly well done as you can see a lot of the budget on display – it’s harrowing to watch these thing happen. The film succeeds in putting you on the level of John Smith as he is equally terrified of these visions. You see him jumping between the real world and the visions in his head and it’s a great credit to Cronenberg that this shifts never feel jarring: they are natural and something he will later user to great effect in Existenz. 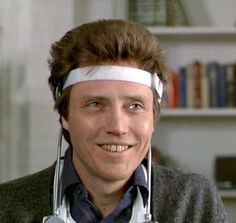 Right up front, Walken would not have been my first choice for John Smith. He wouldn’t have been on the list. He wouldn’t have been on the list that was an extension of the original list that was kept at the bottom of a locked filing cabinet for safety. But he works so well as Smith. His transformation from the flattened down hair of pre-accident Johnny to Johnny with what can only be described as Walken hair. He sells Johnny’s descent from ordinary school teacher to political assassin convinced he is being guided by the visions in his head. Likewise, the casting of Martin Sheen as Greg Stillson (aka the opposite of President Bartlett) is a great of the top, scenery chewing performance. First, the bond between Sarah and Johnny is nowhere near as strong as in the book. Although I complained Sarah wasn’t exactly a well-drawn character in the book, you feel the love between her and Johnny. His initial selfishness at taking her for granted in the book at the wheel of fortune game at the fair and ignoring her obvious illness was felt there. It’s this regret which drives his character in the book, as he felt robbed of a burgeoning relationship. But instead Johnny just gets into his accident and Sarah is just there in the movie. You never get the sense they were at the start of a relationship. It feels the same for his coma. In the book, you feel the pain of all those around him as they go through years of hurt and angish without him. Sarah letting go of Johnny is heartbreaking, as she has to leave him in order to move on with her life and be happy. The movie in a single cut moves from the accident to him waking up in a single cut. You miss his parents going through troubles and his mother’s bout of religious mania, the ups and downs they go through being torn to pieces by what they’re going through. It’s almost half the book of him being in the coma, waking up, going through physical therapy. While I felt it made the book stall, by comparison it really shows. The film cuts out my very favourite part of the story: Johnny teaching Chuck to read, Chuck being a rich jock kid with a good heart who is good to Johnny in return. He reminded me of Chris Klein’s character in Election, just a good-natured jock who isn’t maybe isn’t the smartest guy but has a good heart. The way Johnny is embraced by Chuck and his family is a really wonderful point for the character: it gives him a sense of normality that he has lacked since the accident. While I can understand why this was cut from the film, it really took away from Johnny’s character. We get a similar story in Chris, who is meant to be (I’m assuming) autistic but it doesn’t deliver the same level of impact. The movie’s version shows the family as having lack of trust and fear of Johnny, and not the redemption of the book. The difference I really disliked is that in the movie Johnny gets closure with Sarah. They keep bringing her back throughout the film and make the ending very personal. That ruins the regret Johnny feels for not appreciating her when they were together. In the book, Johnny is torn apart (Lisa) over the loss of Sarah. The only closure he gets is sending her a letter in the hopes that she’ll read it. It makes the last note of the book all the more powerful she’s reading it by his graveside. The movie had his “hero’s death” (?) and them saying goodbye. I found it too clumsy and direct. Overall, I prefered the book. 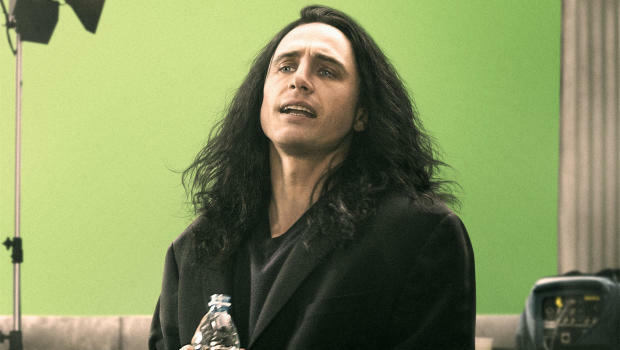 While it wasn’t perfect in its execution, you really feel for the character of Johnny, whereas the film feels like a sped up version of the film. Next time: He’ll be Bach, man.